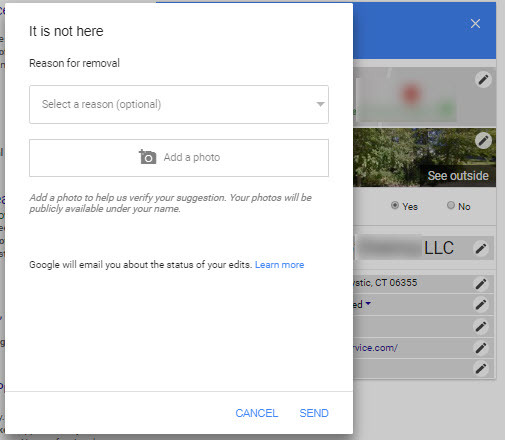 Pull up a Google My Business page that shouldn’t be on the map, click the “Suggest an edit” link, and you’ll see a new feature: the ability to upload a photo as evidence to back up your request. You don’t have to include a photo, but it should help tilt the scales in your favor. It’s a new feature, so I don’t yet know the effectiveness of anti-spam reports with photos compared to those without photos. What I do know is that Google’s got a pitiful track record on following up on valid anti-spam edits, so the photos can’t make things worse. 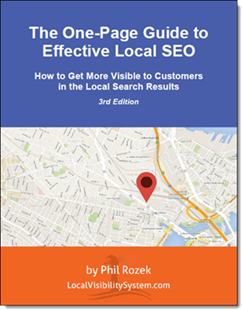 Google never has done enough to prevent and remove mapspam, but since retiring MapMaker in March of 2017 Google’s really let the rash spread and ooze, particularly in the service-area industries. Edits with photos aren’t anonymous. Because “Your photos will be publicly available under your name,” an edit with a photo will include a trail of breadcrumbs back to the good-faith Maps user or to the spammer. This new feature is like a “MapMaker Lite,” in that MapMaker also showed who edited what. That’s both good and bad, for reasons I think are obvious. I guess you don’t include a photo if you don’t want a spammy competitor (for instance) to know who you are. 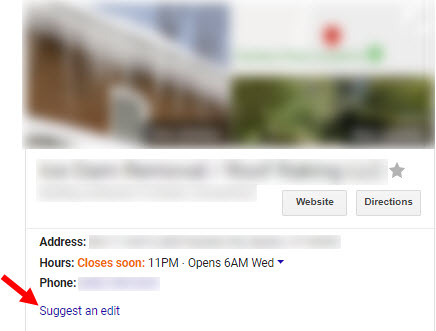 Have you tried out this new feature in Google Maps spam-reporting yet? If so, how’s it worked for you? Are you seeing any similar changes in “Suggest an edit”? Do you think this is a good move on Google’s part?